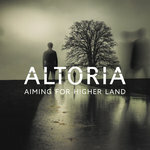 Full-length physical release of Altoria's 2016 album "Aiming For Higher Land". Comes in a 4 panel DigiPack case + 12 pages color booklet with lyrics. Includes unlimited streaming of Aiming For Higher Land via the free Bandcamp app, plus high-quality download in MP3, FLAC and more. Altoria is about dreaming, escaping, achieving and living the moment. 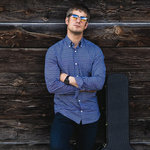 In 2014, after many years of unaltered passion for alternative rock in its many forms and experience on numerous musical projects, Gabe (songwriting, guitars, vox) pulled the pin and set up his new band, Altoria.